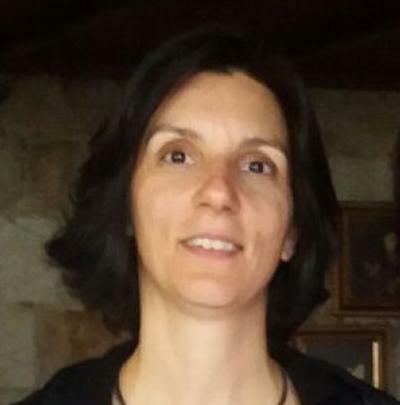 Dr Margarida Fernandes de Pinho Lopes is Lecturer in Geomechanics within Engineering and Physical Sciences at the University of Southampton. My technical areas of interest are geotechnical engineering and the application of geosynthetic materials. My particularly focus is on reinforcement and improvement of soil, durability and endurance of geosynthetics, soil-geosynthetic interaction and geosynthetics in railways and in fluvial/coastal environments. I also work on Education in Civil Engineering, particularly in geotechnical topics. I have been a Lecturer in Geomechanics at Southampton since 2015, and I am currently the programme leader for Civil Engineering. Previously I was as an Assistant Professor at University of Aveiro, Portugal (2006 – 2013) and senior lecturer at University of Brighton (2013 – 2015). I graduated in Civil Engineering (5 years degree) from the Faculdade de Engenharia da Universidade do Porto, Portugal. Later I received a M.Sc. in Structures in Civil Engineering and a PhD in Civil Engineering from the same university. The application of geosynthetics in civil engineering works, and particularly in geotechnical engineering, has been increasing thus the questions regarding their durability, as well as the definition of reduction factors to use in their design, are becoming more and more relevant. I have been studying the durability and endurance of geosynthetics, namely regarding installation damage, tensile creep and creep rupture, compressive creep and abrasion and investigating possible synergisms between them. For that, I have developed several laboratory apparatus prototypes and I have carried out several field trials. Traditionally, good quality granular materials are used in reinforced soil applications. However, the pressure to achieve sustainable but resilient structures is high. Using marginal / lower quality soils and guaranteeing stability can be a challenge. Some of my current research topics include studying the reinforcement of marginal / lower quality soils using geosynthetics and centrifuge testing of reinforced soil. The performance of reinforced soil is highly dependent on the soil-geosynthetic interaction mechanisms and properties, as it affects the effectiveness of the transference of tensile stresses from the soil to the reinforcements. In reinforced soil structures, when under low confining stresses, geosynthetics can suffer pull-out (relative movement of the reinforcement respectively to the surrounding soil). When geosynthetics are placed over an inclined surface and the relative movement is mainly caused by shearing, inclined plane shear tests are used. I have studied the soil-reinforcement interaction mechanisms using pull-out and inclined plane shear tests and how they are affected by the durability of geosynthetics. Often geosynthetics are used in the construction or rehabilitation of railways within or beneath the ballast or subballast layers. They can act as separators of materials with different particle size distributions, filters, drainage elements and reinforcements. I have been studying the durability issues associated with the demanding conditions of a railway system. I have also done work using the Discrete Element Method (DEM) to the model the settlement behaviour, during cyclic loading, of a ballasted rail track. Ordem dos Engenheiros (Portuguese Institution of Engineers). Senior member. UK Chapter of International Geosynthetics Society. Portuguese Chapter of International Geosynthetics Society. Portuguese Society for Engineering Education. Costa, S., Oliveira, E., Coelho, C., & Pinho-Lopes, M. (2011). Erosion and deposition rates in estuaries – the saltpans area of Aveiro Lagoon, Portugal. Journal of Coastal Research, 1472-476. Carlos, D., Pereira, M., Pinho-Lopes, M., & Coelho, C. (2011). Walls of the Saltpans of the Aveiro Lagoon, Portugal – Current Status and Proposed New Solutions Using Geosynthetics. Journal of Coastal Research, SI 64, 1467-1471. Paula, A. M., Pinho-Lopes, M., & Lopes, ML. (2009). Some results of tensile creep and creep rupture tests of geosynthetics. Revista Geotecnia, (116), 39-63. Pinho-Lopes, M., Lopes, M. L., & Paula, A. M. (2006). Evaluation of the liability of laboratorial tests to predict in situ damage during installation of geosynthetic. Revista Geotecnia, (108), 175-195. Paula, A. M., Pinho-Lopes, M., & Lopes, M. L. (2004). Geosynthetics damage during installation laboratory study. Influence of the confining material. Revista Geotecnia, (108), 175-195. Pinto, M. I., Lopes, M. L., & Pinho-Lopes, M. (2004). Geosynthetics standardization. Revista Geotecnia, (101), 61-70. Pinho Lopes, M., & Lopes, M. L. (2003). An equipment to perform damage during installation tests of geosynthetics. Revista Geotecnia, (98), 7-24. Lopes, M. P., & Lopes, M. L. (2001). Effect on the mechanical behaviour of geosynthetics of the installation damage – initial results. Revista Geotecnia, (93), 81-99. Lopes, M. P., & Lopes, M. L. (1999). Soil-geogrids interaction mechanisms – role of the soil grains size and of the reinforcements bearing members. Revista Geotecnia, (87), 5-32. Pinho Lopes, M., & Macedo, J. (Eds.) (2011). 4º Seminário Português sobre geossintéticos, Livro de Actas. SPG / UA / IGS / 4º Seminário Português sobre Geossintéticos. Pinho Lopes, M., & Lopes, M. L. (2010). A Durabilidade dos Geossintéticos. (Colecção Monografias). Porto, Portugal: FEUP Edições. Huet, I., Ferreira, C., & Pinho-Lopes, M. (2014). Avaliação da qualidade do ensino e aprendizagem em cursos de engenharia: contributos de um sistema de garantia da qualidade. In Ensino Superior: Saberes, Experiências, Desafios – II (pp. 211-250). Lisbon, PT: AFIRSE. Pinho Lopes, M., Bonito, F., & Macedo, J. (2009). Mecânica dos Solos I – Uma primeira tentativa de implementação de docência e aprendizagem cooperativa. In I. Huet, N. Costa, J. Tavares, & A. V. Baptista (Eds. ), Docência no Ensino Superior: Partilha de Boas Práticas (pp. 17-32). Aveiro, PT: Editora da Universidade de Aveiro. Kyparissis, A., & Pinho-Lopes, M. (2018). Bearing capacity of reinforced soil under a strip footing: centrifuge tests. Paper presented at 11th International Conference on Geosynthetics, Seoul, Korea, Republic of. Ferreira, C., Pinho-Lopes, M., & Huet, I. (Accepted/In press). Evaluation of the quality of teaching and learning for 1st year engineering programmes – an initial contribution: the case of the University of Aveiro, Portugal. Paper presented at 3rd International Conference of the Portuguese Society for Engineering Education, Aveiro, Portugal. Paula, A., & Pinho-Lopes, M. (2018). Simple constitutive models to represent the effect of mechanical damage and abrasion on the short-term load-strain response of geosynthetics. 279-287. Paper presented at 9th European Conference on Numerical Methods in Geotechnical Engineering, Porto, Portugal. Paula, A. M., & Pinho-Lopes, M. (2018). Simple constitutive models to study the influence of installation damage on the load-strain response of two geogrids. Paper presented at 11th International Conference on Geosynthetics, Seoul, Korea, Republic of. Carlos, D. M., Pinho-Lopes, M., & de Lurdes Lopes, M. (2018). Stress-strain response of sand reinforced with a geocomposite. Paper presented at 11th International Conference on Geosynthetics, Seoul, Korea, Republic of. Macedo, J., & Pinho-Lopes, M. (Accepted/In press). Using different and complementary teaching tools in project-based learning: application to civil engineering - courses on Soil Mechanics. Paper presented at 3rd International Conference of the Portuguese Society for Engineering Education, Aveiro, Portugal. Carlos, D. M., Pinho-Lopes, M., & Lopes, M. L. (2016). Bearing ratio of a fine soil reinforced with geosynthetics: influence of the reinforcement type and the soil water content. 884-891. Paper presented at EuroGeo6 - 6th European Geosynthetics Conference, Slovenia. Fernandes De Pinho Lopes, M., & de Lurdes Lopes, M. (2016). Efeito do teor em água do solo na interação solo-geogrelha em movimento de arranque e de corte em plano inclinado. 489-496. Paper presented at 5ªs Jornadas Luso-Espanholas de Geotecnia, Spain. Macedo, J., & Pinho-Lopes, M. (Accepted/In press). Project-based learning in consecutive modules on geotechnics: foundations. Paper presented at XVI European Conference for Soil Mechanics and Geotechnical Engineering, Edinburgh, United Kingdom. Pinho-Lopes, M., & Lopes, M. L. (Accepted/In press). Synergy between mechanical damage and abrasion of a composite geosynthetic and its variability. Paper presented at XVI European Conference for Soil Mechanics and Geotechnical Engineering, Edinburgh, United Kingdom. Pinho-Lopes, M., & Lopes, M. L. (2014). Hydraulic properties of a geosynthetic composite after mechanical damage and abrasion and their variability. Paper presented at 10th International Conference on Geosynthetics, Berlin, Germany. Carneiro, R., Carlos, D. M., Lopes, M. L., Paula, A. M., Pinho-Lopes, M., & Almeida, P. J. (2014). Resistance of geotextiles against mechanical and chemical degradation. Paper presented at 10th International Conference on Geosynthetics, Berlin, Germany. Paula, A. M., Pinho-Lopes, M., & Lopes, M. L. (2012). Effect of damage during installation on the mechanical behaviour of a biaxial woven polyester geogrid. 446-451. Paper presented at 5th European Geosynthetics Congress, . Rosete, A., Pinho-Lopes, M., & Lopes, ML. (2012). Effects of damage during installation in geocomposites’ mechanical and hydraulic behaviour: laboratory study. 155-160. Paper presented at 5th European Geosynthetics Congress, . Pinho-Lopes, M. (2012). Implementation of the use of computing and software in undergraduate soil mechanics courses. In B. McCabe, M. Pantazidou, & D. Phillips (Eds. ), Shaking the Foundations of Geo-Engineering Education (pp. 193-200). London, GB: CRC Press. Sousa, R., & Pinho-Lopes, M. (2012). Numerical tool for the design of granular and geotextile filters. 274-283. Paper presented at 5th European Geosynthetics Congress, . Carlos, D. M., Pinho-Lopes, M., & Lopes, ML. (2012). Parametric study of the design of a solution of fine soil reinforcement with geosynthetics. 74-84. Paper presented at 5th European Geosynthetics Congress, . Pinho-Lopes, M. (2012). Some reflections on the use of a cooperative learning model in soil mechanics courses. In Shaking the Foundations of Geo-engineering Education (pp. 301-308). London, GB: CRC Press.